It was nip and tuck with 'Villa Blanca' as to which was best, but 'Saronno' finally proved that she was the better lily in the garden of the two. These pure white flowers are out to slightly upfacing at the top and rivals 'Casablanca', which was introduced to the garden trade by B & D Lilies in 1978. 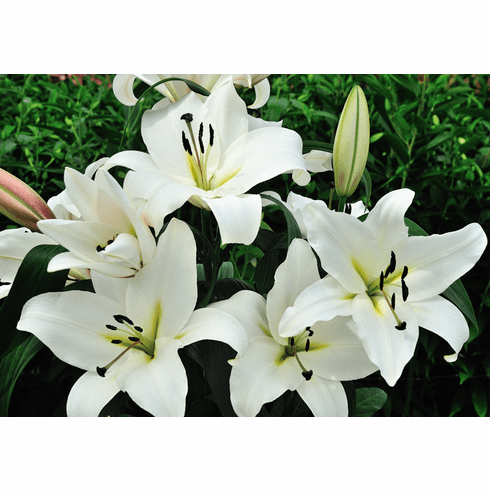 For beauty, 'Saronno' is a knock out in the garden and the photos say it all for this lily. 4 Feet plus. Late July / Early August Flowering. Fragrant.